New organizational arrangements are required to underpin emerging public sector service transformation initiatives with a substantial electronic government (e-government) dimension. 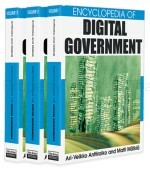 These arrangements are both internal to government, involving new collaborative relationships among service delivery agencies and reform of procurement processes, and external, involving the formation and management of strategic relationships between private sector information technology (IT) vendors and public service providers. This article explores the relational context of service transformation by first examining some current initiatives in Canada—at both provincial and federal levels. These case studies reveal the nexus between digital technologies, internal organizational change, and public–private sector interactions. They also reveal the emergence of new collaborative mechanisms between both sectors, especially in the initial phase of relationships where the IT-enabled service transformation is being mutually defined. This heightened level of collaboration also represents a significant departure from traditional government procurement models—where inputs are defined by public authorities and then secured in the marketplace from qualified vendors. E-government—and service transformation initiatives in particular—are consequently driving a rethinking of the role and purpose of procurement mechanisms in an increasingly digital and interdependent environment. Many political and administrative quandaries remain, however, as governments struggle to achieve a balance between traditional public interest principles such as probity, transparency, and accountability, and the rising importance of strategic collaboration. Building on the case studies and a review of current efforts at procurement reform, this article offers and assessment of how this interrelationship between service transformation and public–private collaboration is likely to shape future e-government-based service transformation efforts in Canada.